we invite you to the village Škrdlovice and to our cottage. 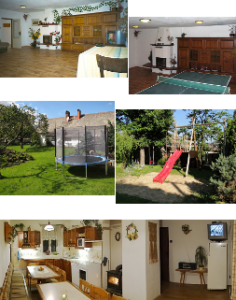 You will find accommodation till for 14 persons, large garden with playground, living-room with fire and much next. and in the high-season for weeks end only. and for rest in all yearly time.